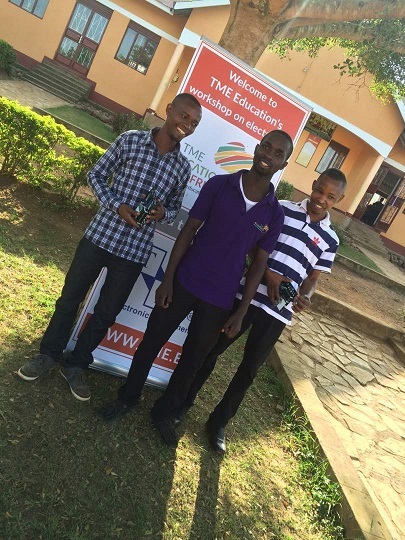 At the end of July, TME Education Ambassador in Uganda, Patrick Ssonko, conducted teacher training at St. Elizabeth Girls School in Mityana. Two members of the institution’s staff attended seven-day-workshops on programming, electronics and methodology. The course started with a two-day introduction to C/C ++ programming including the structure, data types, variables, functions and control statements. The theory was followed by practical exercises and examples. Moreover, the teachers could discuss the students grading system. 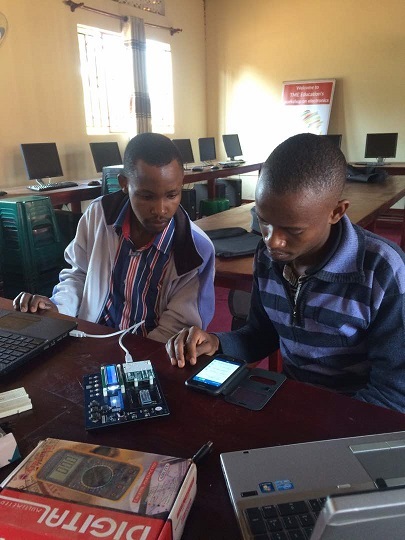 The following days, Patrick moved to Arduino boards and their programming. After explaining the chip/microcontroller features of Arduino Uno, its configurations, setup and adding libraries to the software. 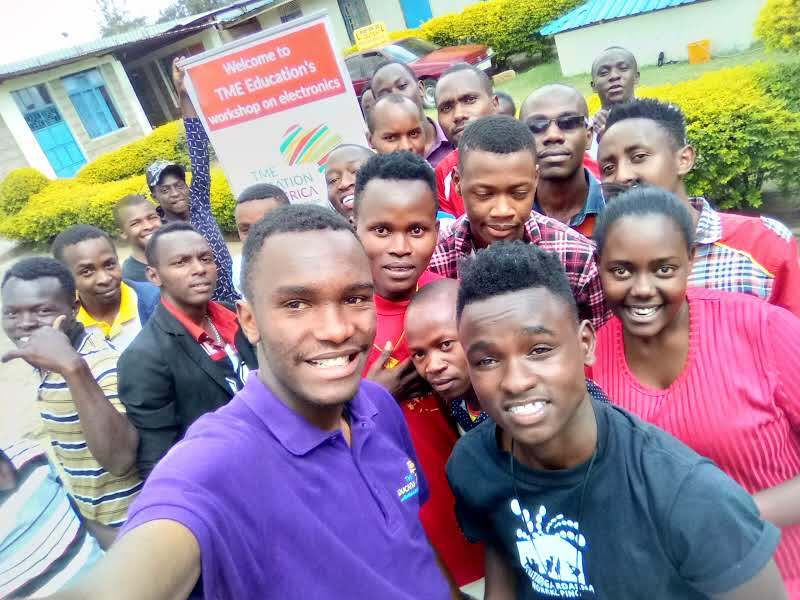 Then the participants were introduced to TME Arduino Edu Kit and could explore its features including RGB, LEDs, buzzer, POT and LDR. The next two days were dedicated to Arduino hardware and software serial programming. 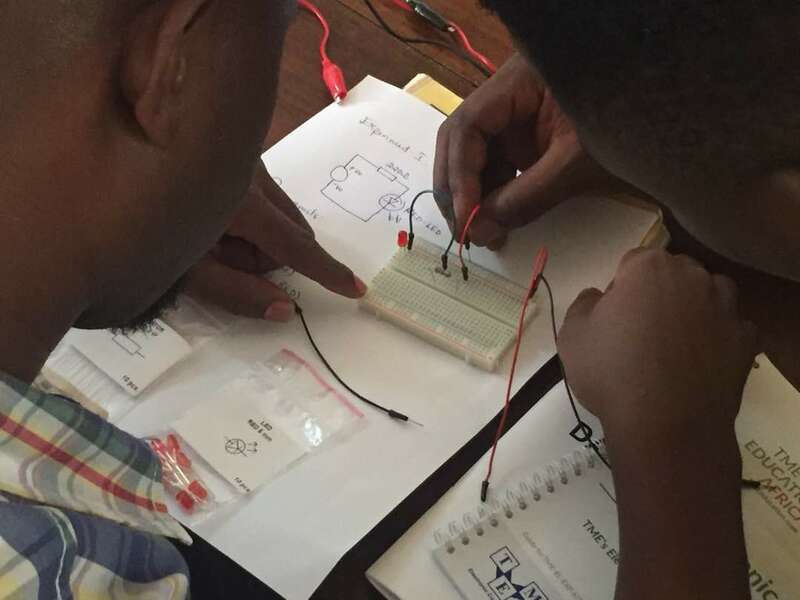 For the final two classes, Patrick prepared lectures and exercises concerning power supplies design, relay, transistor, Arduino Servo and LDRs applications. 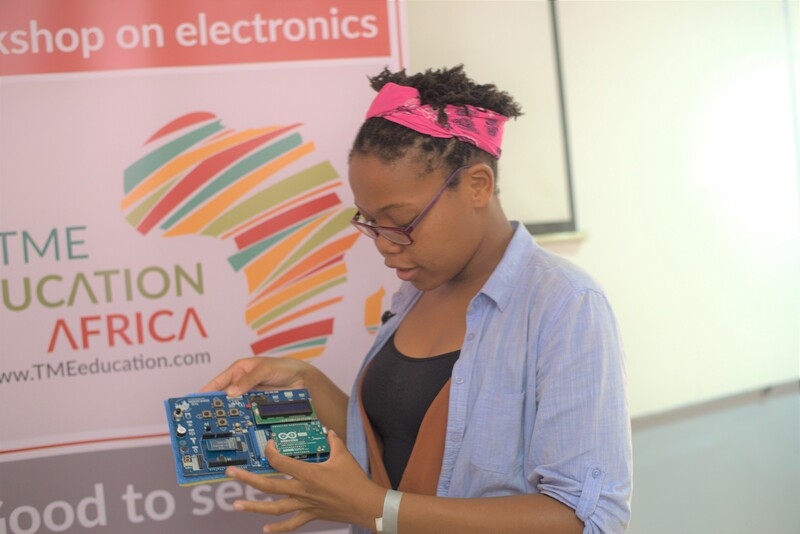 The teachers participating in the course were not only taught about the devices but also had to demonstrate how they function as they would in their future classes. 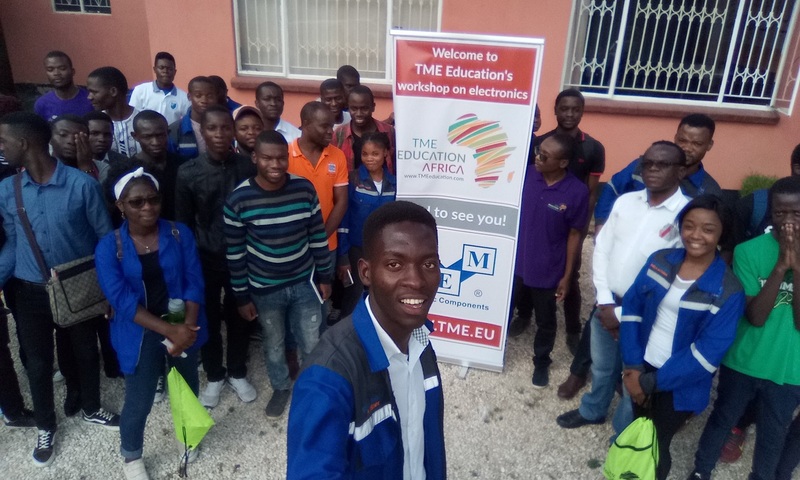 TME Education recognizes the importance of teacher training, especially in countries like Uganda, where a good and qualified teacher can help the students obtain the skills that will harmonize with the labour market’s needs. Such courses are more complex than the courses for students as they require more detailed approach, deep understanding of topics and, what is curtail for the future effect, methodological guidance on how the knowledge should be passed. 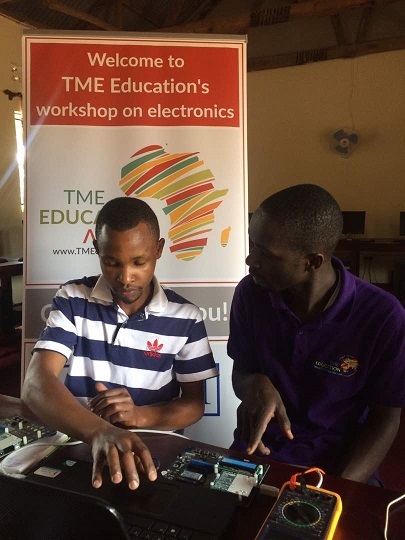 Training a teacher is a long-term investment as one well-qualified person can be an inspiration and a reliable source of knowledge for many young people, whether they are electronics enthusiasts already or they are about to start their journey. The following week Patrick’s trainees had a chance to conduct classes for their students at St. Elizabeth Girls School. Stay tuned for more information on how they did! 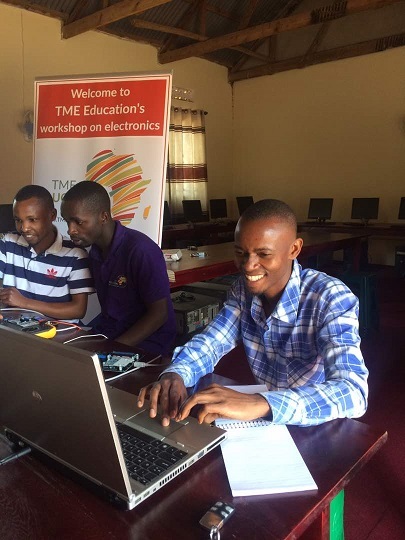 TME Education Electronics Club – a makers space for students in Mtwara, Tanzania.